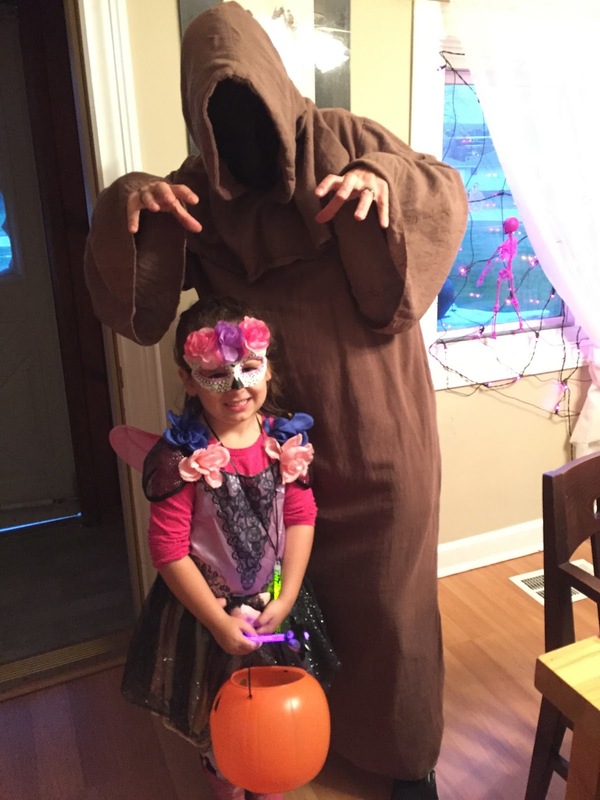 My daughter dressed in a calavera, fairy, witch, princess... I don't know, I lost track. The costume was sort of a fluid concept up until the last minute. But that's OK. She was happy, looked cute, and I can dig the free-form costuming. Besides, my own concept wasn't more than, "hey, I have this robe, why don't I get a faceless mask at the last minute." We had fun, that's all that matters. She was really excited, skipping around the neighborhood. I tried to keep up with her skipping. Your daughter looks very cute. And that picture of your faceless self skipping down the path really did make me laugh. 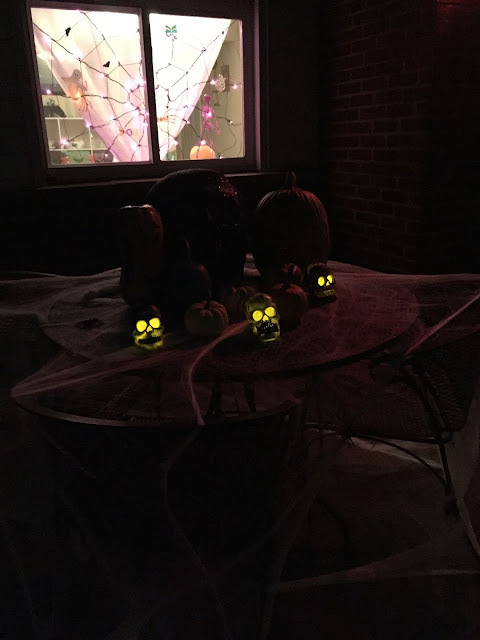 After I moved into my present house, we had a few Halloweens with very few trick-or-treaters. Thankfully, business has picked up in the last couple years. Maybe these things are cyclical, like the popularity of tight pants. Oh my god you two are so sweet :) The UK has only really got into the whole Halloween thing in recent decades, but it does seem quieter the last few years. Mind you, this is a small village and maybe there are less young kids here at the moment? In our case, I know there are more kids in the neighborhood. But some of them never seem to go outdoors -- at least not at home. But we are also on a two-street cul-du-sac, so we probably get less traffic for that reason as well. While Dickens said "it is good to be children sometimes, and never better than at Christmas," I'd say Halloween ain't a bad time to be a kid either! Your daughter looks like she's having a blast. We're also on a cul-du-sac and when my kids were little, it was perfect to hit 20 houses or so. 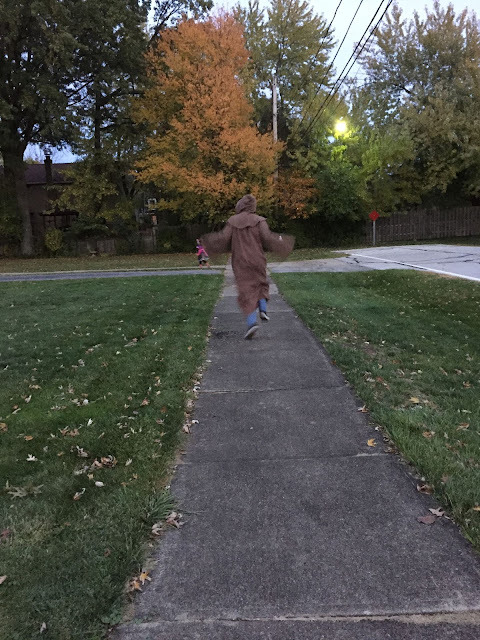 Now they head out to other neighborhoods to maximize their candy efficiency.